JeepForum.com > Vendors > Rancho Suspension > You headed to Easter Jeep Safari? Show us your Rancho equipped ride for some swag! Are you ready for this year’s Easter Jeep Safari? 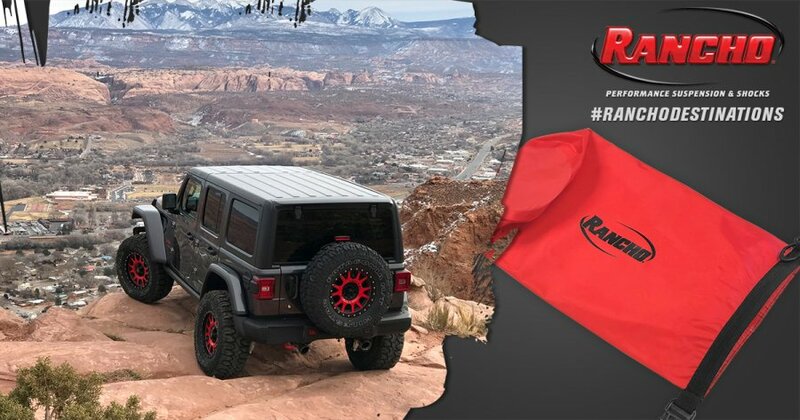 Snap a picture of your Rancho equipped rig and show it to us at the Vendor Show on April 18 and April 19 and get a Rancho dry bag! First come, first serve on the bags!